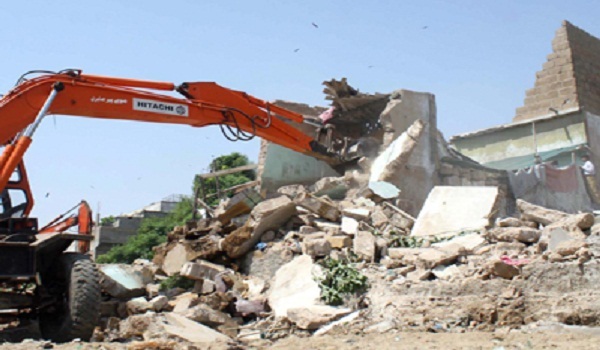 Karachi: The Anti-Encroachment Task Force of the Karachi Metropolitan Corporation has recovered 10 acres of land from illegal occupants in Chakra Goth. According to a news source, the land was originally allocated for the development of Zulfiqar Ali Bhutto Law University. Reportedly, the operation against the illegal occupation of the land in question had been taken on orders from Karachi Administrator Mr Abdur Rauf Akhter Farooqi. The news source reported further that the land-grabbers opened fire and pelted stones at the anti-encroachment staff. However, police and Rangers intervened to control the situation.